Trying to buy a present for someone can be a tricky task. I can think of one gift that everyone should be wishing for; the gift of health! If you're on the fence about what to get someone, you can never go wrong with something that will benefit their health. With that being said, let's jump into some related to fitness/health gifts that will keep giving all year long! Protein Powder - Everyone needs a certain amount of protein per day and this will vary from person to person. Anyone even remotely familiar with health and wellness would appreciate a tub of protein powder. The good news? Protein powders come in different forms so both non- vegans AND vegans can reap the benefit. FitBit or similar device - Personally, I use a Garmin watch to track my steps, calories, etc. but there are so many “cost effective” options on the market nowadays...just a quick Google search away! Personal Training Sessions - This is probably of the most awesome gifts to give. Most people would not think of this as a gift idea so it’s pretty creative, plus, it can give the recipient some serious insight on whether or not their form is correct during certain exercises, which exercises to do and how to start piecing together a fitness plan of their own. A personal training session has the potential to expose a person to a whole, new world of fitness they didn’t even know existed. Foam Roller - Thanks to desk jobs and computers, the body just keeps getting tighter, increasing the risk of pain and injuries since the muscles are not being worked in the manner in which they are supposed to be. A foam roller can help “steam roll” the muscles, allowing the muscle fascia to expand and the muscle to have a greater range of motion. Looser muscles = better mobility = lower chance of pain and injury = improved quality of living! Massage - Another gift favorite! What I’ve learned is a lot of people want a massage but aren’t necessarily willing to buy themselves a massage. Some people don’t think they’ve done enough to “earn” it so they keep putting it off. Let me tell you, if you aren’t going to stretch every day and foam roll, you might as well pay for someone else to do it because it can be LIFE CHANGING. There are so many amazing benefits from getting a massage! Protein Pancakes - I used to create my own protein pancakes by blending oatmeal in a blender and putting in a scoop of protein powder. There are plenty of recipes online and it’s trial and error until you find the one that works best for you. Now, there are even prepackaged protein pancakes that you only need to add water to and throw in a pan. A delicious way to get in some extra protein! Weight Lifting Gloves - Some people prefer not to have callouses on their hands or simply just don’t like the way weights feel, so weight lifting gloves are something they could benefit from. We have all been at that point where you think to yourself, “Man, I wish I had gloves right now and I know I could keep going”. It’s never fun when your hands/grip fade out before the actual muscle you are trying to work on does. Gym Membership - And FINALLY, who wouldn’t love a gym membership?! Even people who don't necessarily love the gym would enjoy this gift because they know it’s something they need for their health. 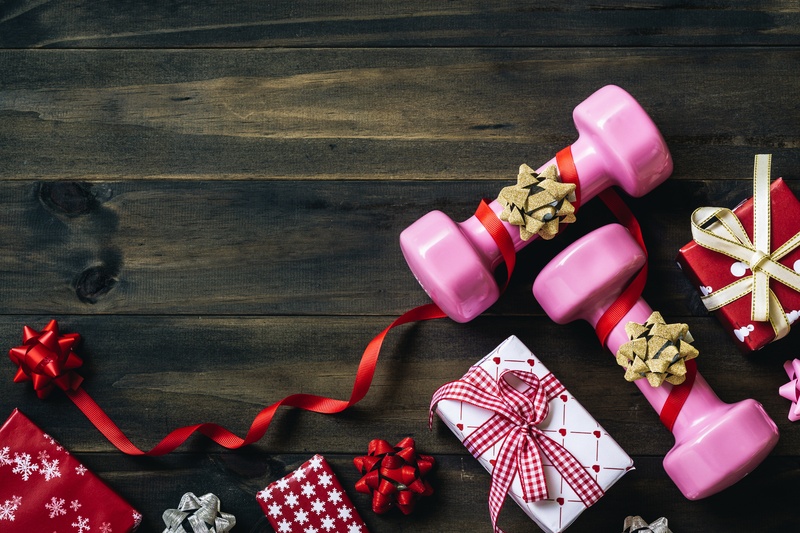 Click here for everything you need to know about giving the gift of fitness this holiday season! Good luck with your final holiday shopping of the year! Happy holidays from our #fitfam to you!